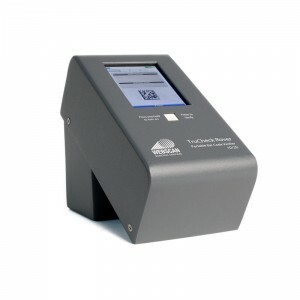 The Quick Check 800 Series Bar Code Verifier has been discontinued. 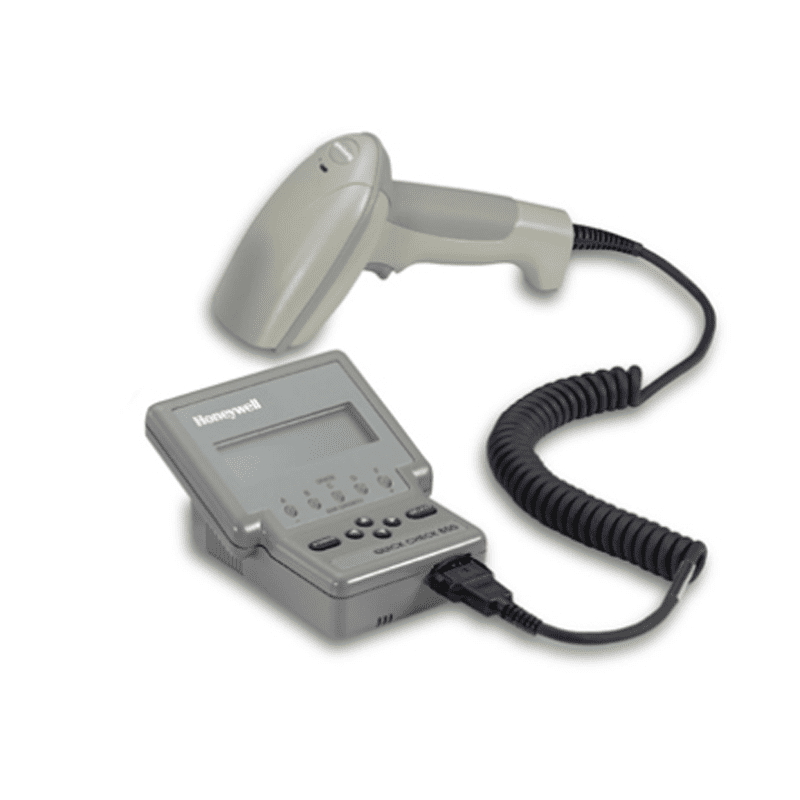 Honeywell Scanning & Mobility (formerly Hand Held Products/HHP) no longer supply barcode verification equipment. Please contact us to discuss suitable replacements. Not all bar code verification applications require analysis of the same parameters, so HHP offers a variety of models to meet specific needs. The QC800 Series Bar Code Verifier offers the convenience of simple aim-and-shoot verification through the use of a QC3800V, a customized, IT3800 hand held linear imager. Quickly perform pass/fail testing of dimensional and format quality parameters like average bar deviation, wide-to-narrow ratios, encodation, and ANSI/CEN/ISO decodability. Full traditional and ANSI/CEN/ISO dimensional, reflec- tance, and format tests can also be performed using optional mouse and pen style wands. 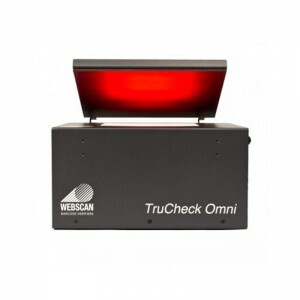 Quick Check verifiers are easy to use, yet packed with high performance features that utilize the most sophisticated test methods. Every model can be instantly programmed to test bar code specifications by simply scanning command codes, or by using the easy-to-follow programming menu that guides an operator through each step. 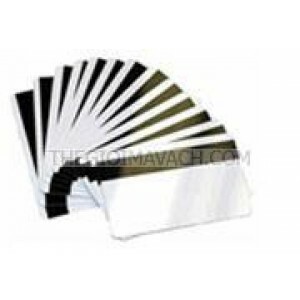 used with the QC600 or QC800 Series verifiers to make any bar code verification process more flexible and efficient. If needed, a detailed hard copy printout can be produced from any of the Quick Check desktop models using an optional Quick Check printer. Results can also be sent to a PC via an RS-232 communication interface or the QCViewer software. Each verifier is powered by AA NiCad rechargeable batteries and an AC charger. Parameters determined by ANSI-CEN-ISO bar code print quality guidelines and traditional pass/fail criteria. Refer to model matrix below for configurations. * QC800 Series verifiers include a hand held bar code linear imaging reader and provide ANSI/CEN/ISO decodability/decode and dimensional traditional test results. Full ANSI/CEN/ISO results are provided using an optional mouse or pen wand. When ordering QC600 Series verifiers, choose a mouse wand or pen wand with applicable aperture and wavelength.